I’ve started working on my Mod Pop quilt blocks this weekend and have a plan to make one block a day. That seems to be a reasonable goal while I work away on a few large custom quilts this month. 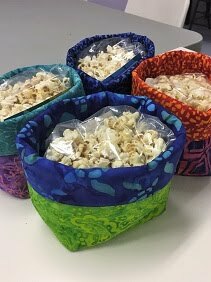 I had purchased the fabric for this project in December and then added a few more from my stash to give it more variety. I tend to buy very ‘matchy’ fabrics when I shop but know that adding a few more with different shades or tones can really make a quilt POP! 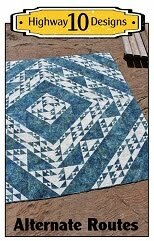 I’m using all batik on this quilt and making a twin size using 12 of these 18” blocks. The Mod Pop pattern by Julie Pickles Designs can be found for sale here and you can also buy the acrylic templates for cutting the curves. I just got my husband to make mine out of some plexi-glass using the paper template provided in the pattern. Worked really well. But if you don’t have the tools to do the job I would highly recommend you buy the templates if you want to make this pattern, they make cutting the curves a breeze. I want I make one of these soon. Are you finding it easy to come together with the curves? 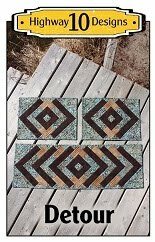 I've seen a few quilts of this pattern around in "blog land", but not with batiks. It looks beautiful! 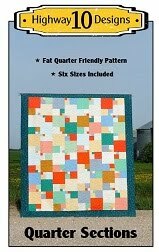 Kathy: Awesome mod quilt block. For the curves... would one be able to use Jenny's curve tool or is it a different type of curve? Love the batiks! You have an awesome gift for colour and tones. fun and interesting blocks -- did you get a "bootful" of snow when you went to retrieve the blocks out of the snow? hahaha, the snow makes a great backdrop for the shades of blue! 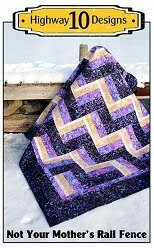 Very interesting block and lovely choice of fabrics ! 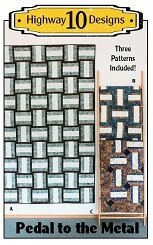 You chose great fabrics for this pattern, this will be a stunning quilt.